Daniel 9:24-27 is a detailed and complex prophecy that accurately dated the first coming of the Messiah (Jesus Christ) and discusses the establishing of the New Covenant and implications of events that will occur leading up to the time of Christ’s second coming. Make reconciliation (atonement) for iniquity. By the end of His ministry Jesus at least partially fulfilled the first three items. By His sacrifice Jesus provided a way for sin to be forgiven and became the atonement for our sins, reconciling us to God (Colossians 1:19-20). He will finish completing these first three and fulfill the final three after His return. Verse 25 introduces the timing of the fulfillment of the prophecy. 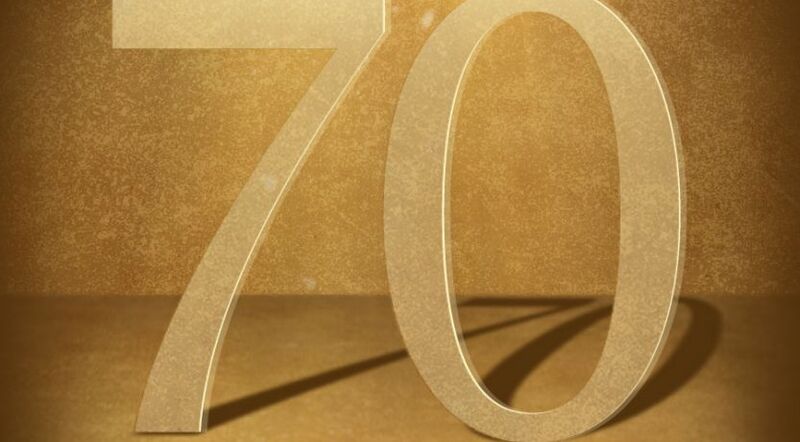 The 70 weeks of this prophecy represent a period of 490 years, based on the biblical principle that prophetic Scripture often uses a day to represent a year (Ezekiel 4:4-6; Numbers 14:33-34). In verses 25 and 27, the period of 70 weeks is divided into three time periods: seven weeks (49 years), 62 weeks (434 years) and one week (seven years). The 70 weeks of Daniel were to begin “from the going forth of the command to restore and build Jerusalem” (verse 25). In 457 B.C., in the seventh year of his reign, King Artaxerxes issued a decree giving Ezra permission to return to Jerusalem to complete the efforts to rebuild the city (Ezra 7:6-10; Ezra 9:9). The first phrase in verse 26 says that the Messiah would be “cut off” after the 62 prophetic weeks (counting the first seven, a total of 69 prophetic weeks or 483 years). Verse 26 introduces an evil prince who will destroy the city (Jerusalem) and the sanctuary (where sacrifices are offered). Verse 27 then says that “he shall confirm a covenant with many for one week.” One question is, to whom does the pronoun he refer? Many believe that “he” refers to the prince mentioned in verse 26. This prince, it is believed, will establish some kind of covenant, which will be broken “in the middle of the week” (after 3½ years). But a careful reading shows that “he” does not refer to the prince, but rather to the Messiah. Notice the phrase in verse 26 “the people of the prince.” It is not grammatically correct to assign the singular pronoun “he” in verse 27 to the plural “people” in verse 26. If “he” were to refer to the prince, the phrase should have been stated differently: “the prince of the people.” But since the verse refers to the “people of the prince,” the prince is not the proper antecedent of the pronoun. “Messiah” is the only person mentioned in verse 26 that can be the antecedent of the pronoun he. So the phrase “he shall confirm a covenant with many for one week” refers to the Messiah. There is another pronoun in verse 27 that also requires an explanation. In the New King James translation we see the phrase “one who makes desolate.” Who or what is this “one”? Obviously the one who is responsible for the “appalment” (desolation) is the evil prince referred to in verse 26. However, based on the Masoretic text, the word one does not refer to him specifically, but rather to something (presumably in or near the temple where sacrifices take place) that causes the “appalment” or desolation. There is an alternating pattern in verses 26-27 that is a common Hebrew usage. The first half of verse 26 refers to the Messiah, the second half to an evil prince. The first half of verse 27 refers to the Messiah and the second half refers to the abomination in the temple introduced by the evil prince. Verse 27 states that “he” (the Messiah) confirms a covenant with many for one week, and then, in the middle of that week, He brings an end to sacrifice and offering. The phrase “confirm a covenant” is rendered “make a firm covenant” in the Masoretic text and in the New American Standard Bible. The phrase is translated “make a strong covenant” in the New Revised Standard Version. The Hebrew word translated “confirm” (or “make a firm”) is gabar, which means “to be strong, to prevail, … to bind up anything broken, to make firm, … to make strong, robust, to strengthen” (Wilhelm Gesenius, Hebrew and Chaldee Lexicon to the Old Testament Scriptures). In other words, to “confirm the covenant” means to further establish and strengthen a covenant that already exists, as is described in Isaiah 42:21: “The LORD is well pleased for his righteousness’ sake; he will magnify the law, and make it honourable” (King James Version). To “magnify” means to strengthen or enlarge. The covenant that is made firm or strong is the New Covenant, a binding and strengthening of God’s law. Consider how Jesus magnified the law in the Sermon on the Mount in Matthew 5 through 7. Jesus emphasized the “new” or “strengthened” (“firm”) covenant for 3½ years and then was crucified. After Jesus died, the Levitical sacrifices were no longer necessary as a representation of His atoning sacrifice for sin, meaning that He brought “an end to sacrifice and offering.” Even though the Jews continued to offer sacrifices until the destruction of the temple in A.D. 70, they were no longer required. One of the reasons the epistle to the Hebrews was written was to convince the Jews that because of Jesus’ sacrifice and the introduction of the New Covenant, the sacrificial system was no longer necessary (Hebrews 10:14-18). In Daniel 9:26-27 it says that the Messiah would be “cut off” following a total of 69 weeks (seven weeks plus 62 weeks). Thus it is clear that the work of the Messiah that was to be accomplished in the 70th week has not yet been completed. As noted earlier, the first three of the six items listed in verse 24 that were to be accomplished by the end of the 70 weeks of Daniel have been partially completed, and the last three remain. All will be completely fulfilled in the future, when the Messiah finishes the last half of the 70th week. It isn’t clear from this prophecy when the rest of the events of the 70th week will be fulfilled.